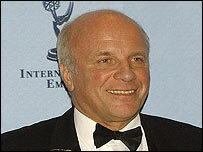 Greg Dyke has resigned as director general of the BBC following damning criticism of the corporation's management in the Hutton Report. When Greg Dyke took over at the corporation four years ago, one newspaper headline reported Tony's Crony in BBC Storm while another stated Blair's Man is BBC Boss. But the eyeball-to-eyeball confrontation that has culminated in Lord Hutton's conclusions and Dyke's resignation has demolished that line of attack. Mr Dyke's CV did not sport the normal credentials of a BBC director general. Born in west London in 1947, the third of three sons of an insurance office manager, he left Hayes Grammar School with an A-level in mathematics and was taken on by Marks and Spencer as a trainee manager, but they "let him go" after only four months. He persuaded the Hillingdon Mirror to employ him as a trainee reporter and showed his gratitude by trying to organise a rebellion of the poorly-paid juniors who were virtually running the paper. In his mid-20s, he went to York University as a mature student, where he graduated in politics and where he will take over in August this year as chancellor, whose official duties include conferring degrees. 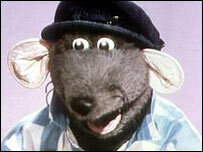 There were other short-lived jobs before Greg Dyke discovered his true metier was in television. He quickly climbed the ladder at LWT before TV-am approached him in 1983. The year was to prove particularly significant not only because of his happy association with a glove puppet but also, his first marriage over, because of his meeting with Susan Howes, who was to become his second wife and with whom he was to have a daughter and a son. Returning to LWT, Mr Dyke became a wealthy man when Granada's takeover of the company left him with an estimated £7m share windfall. Finally, after serving as chief executive at Pearson Television and chairman of Channel 5, Mr Dyke took the helm at Broadcasting House, where his relaxed, informal style has proved radically different from that of his predecessor, John Birt. He did not get off to the best start. In a potentially damaging conflict of interest, he "forgot" to sell an equity stake in Granada, and, while promising to "duck and dive" to get more football on BBC screens, the corporation lost out to ITV in the battle for rights to Premier League matches. The media had fun with his economy drive, when he clamped down on croissants at BBC breakfasts and imposed tighter curbs on the use of taxis. From the outset, Mr Dyke was outspoken. He told his staff to "cut the crap" and, inviting everyone to emulate football referees, suggested one way to reduce meaningless jargon at meetings was to show the offender a yellow card. He described BBC management as "hideously white" and just this week sent one of his familiar e-mails to staff, expressing his pleasure that the corporation had reached its first ethnic minority targets of 4.3% of senior managers and slightly more than 10% of all BBC employees. Mr Dyke also professed a desire to cut the BBC bureaucracy he believed was smothering creativity. Abandoning much of the internal market and the absurdities which frustrated staff, he has cut the cost of running the organisation from 24% of its income to 15%, providing more money for programme-makers. Greg Dyke has had an easy ride in winning viewers, with commercial competitors suffering a downturn because of falling advertising revenues. But in the wake of the Hutton Report and its damning criticism of the BBC management and policy, Dyke felt he would have to resign. He had pledged to ride out the storm during the BBC's row with the government but the criticism in the report was so stinging that first the BBC chairman Gavyn Davies and then the director general felt they had to stand down. 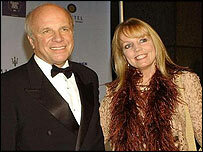 "The criticisms were too strong and too fundamental for Greg Dyke to survive"